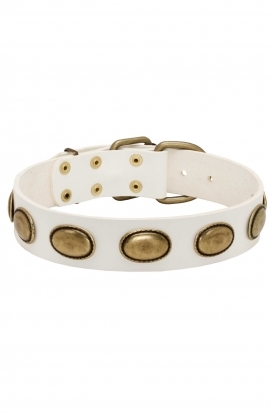 This Classy White Collar is made of strong and durable leather, soft and gentle to touch material. 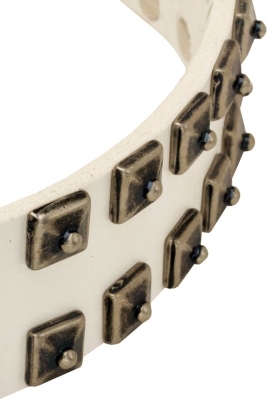 It is decorated with 2 rows of neat brass studs, which are hand set with rivets. 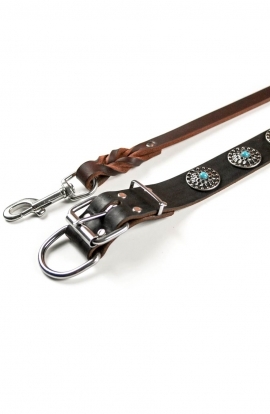 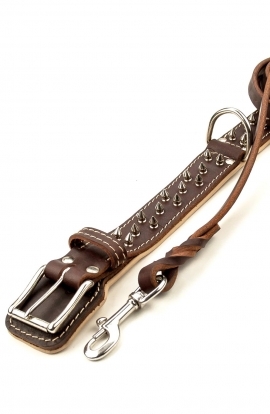 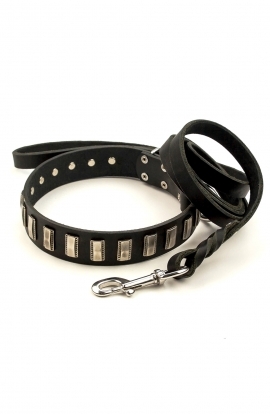 The fittings (buckle and D-ring) are resistant to rust and make the collar easy to use. 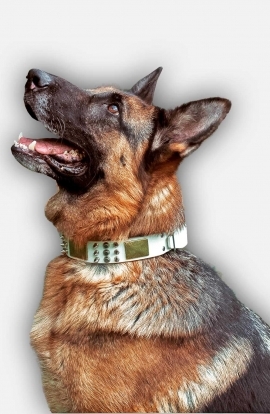 If used properly, this collar will be your indispensable supply quite for a while. 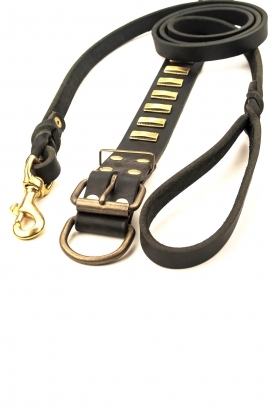 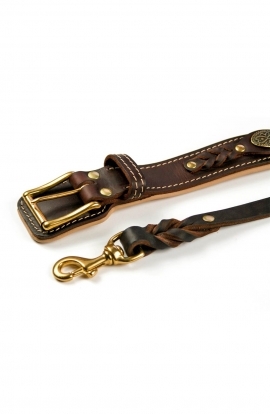 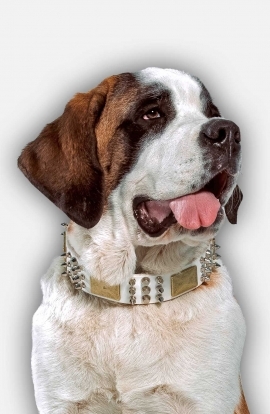 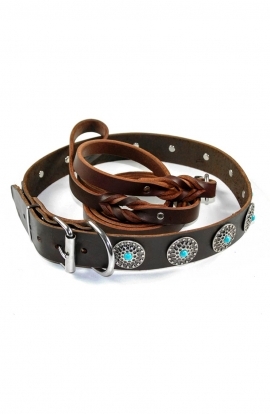 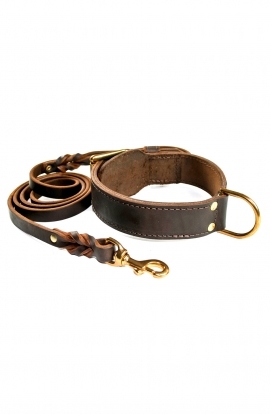 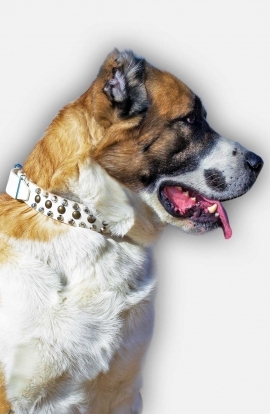 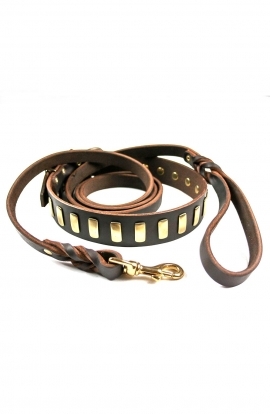 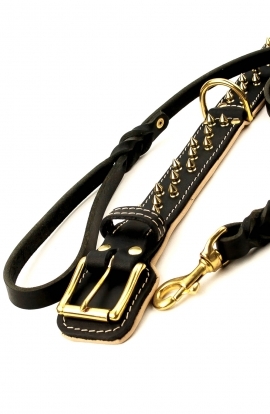 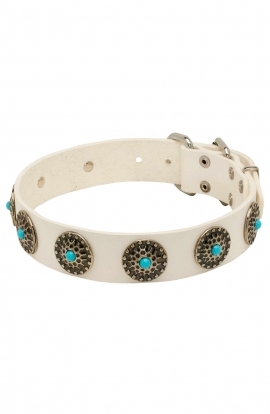 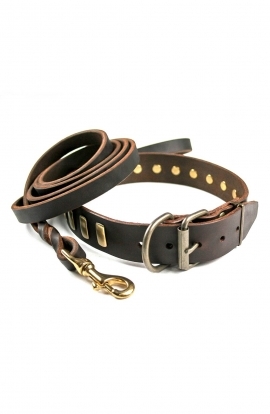 “Bump & Bits” dog collar is handcrafted of top-grade leather and neatly decorated with different studs set in three rows. 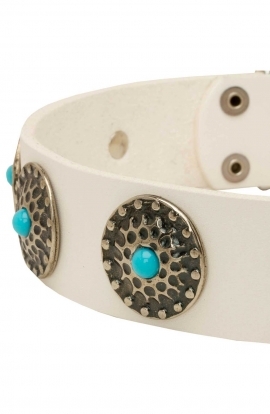 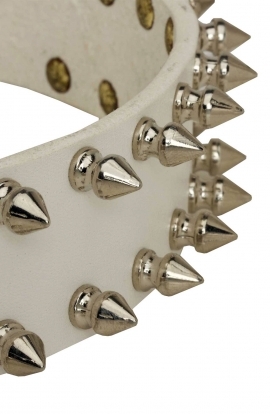 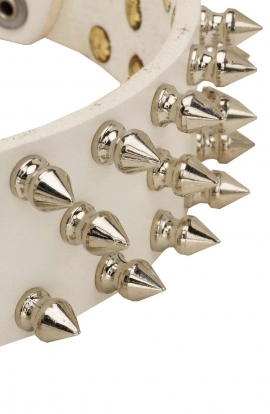 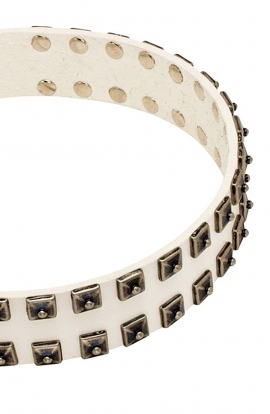 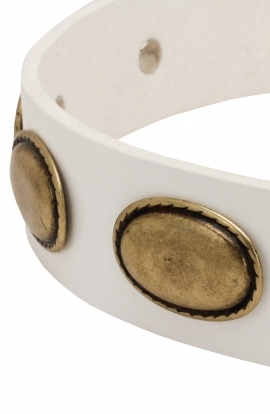 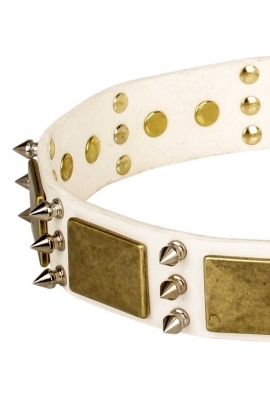 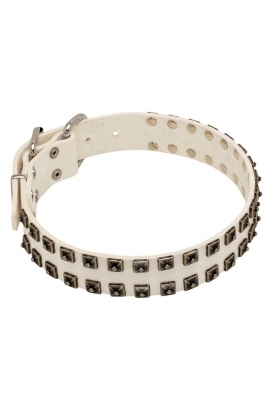 Silver-like pyramids and antique-looking half-ball studs are set one by one on 1 1/2 inch white leather strap. 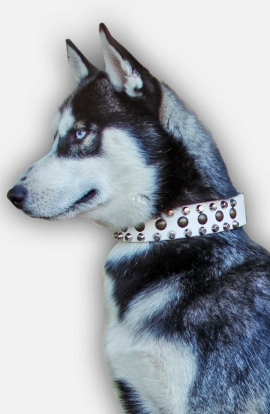 Use an opportunity to make your beloved doggy the most stylish dog in the whole neighborhood!